Hydrodyne 20 foot AWSA approved ski boat with a 220 HP Mariner outboard. 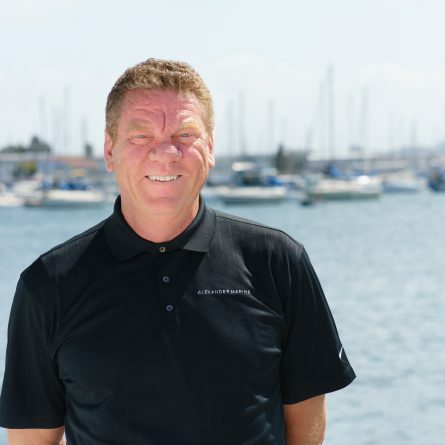 Mark P. White has held multiple roles within the marine industry, from Independent Representative for multiple marine product lines in the Rocky Mountain region to the Southern California Regional Manager for one of the largest boat/yacht dealerships. He has been on the board of directors for the SCMA from 2002 to 2008, and is currently a member of the CYBA. He is looking forward to his newest challenge as a Yacht Consultant/Broker with Alexander Marine USA in Southern California doing what he likes the most, helping clients attain the vessel of their dreams. Mark enjoys traveling with his wife and two boys. He currently resides in Oceanside, California.